As I work with my clients, I strongly suggest working with a registered dietitian during recovery. There are times when questions surface during session can be better answered by a dietitian rather than an eating disorder therapist. Dietitians are an integral part of an eating disorder treatment team. Registered dietitians are educated professionals who know about not only food but also the way nutrition interacts with our unique bodies along with how nutrition can help improve our overall wellbeing. It can be helpful to learn about eating disorders and exercise addiction. This post will talk about helping you shift perspective to be more mindful about incorporating joyful movement rather than using exercise as a way to justify nourishing yourself. 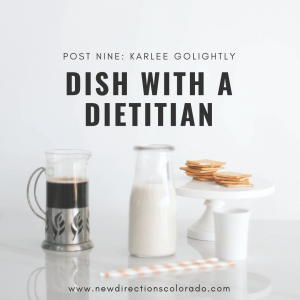 Denver Based Registered Dietitian and Registered Yoga Teacher helps answer questions from individuals who struggle with disordered eating and eating disorders. I GREW UP PLAYING SPORTS AND BECAME ACCUSTOMED TO EATING WHATEVER I WANTED. I GOT BURNED OUT AND STOPPED WORKING OUT. EVEN A WALK SEEMS TOO MUCH NOW. HOW CAN I LEARN TO EMBRACE MOVEMENT AGAIN GIVEN HOW MUCH MY BODY HAS CHANGED SINCE STOPPING SPORTS? What does exercise/movement mean to me? Am I moving because I want to or because I feel like I should? How will I know when to rest and when to move? Which activities have I tried that I like and would do again? Which activities would I consider trying? Do I prefer to move in the morning, the middle of the day, or in the evening? With others or alone? What is my definition of what “counts” as movement, and could I stand to make it a bit more flexible (ex: dance party in your kitchen is one of my personal fave movements). Please know that your body is capable of so much (in both movement and in rest), so try not to limit your activities to only what you think it can do. And if you find yourself thinking of movement as mandatory, could you explore what it might be like if you thought of it as an experiment? Be gentle, be curious, be kind. P.S. If you’re looking for a body positive fitness professional, find one here! I AM A COMPETITIVE ATHLETE AND I REFUSE TO EAT PROCESSED FOODS. I NEED TO GIVE MY BODY THE BEST FOODS FOR FUEL. PLEASE HELP ME UNDERSTAND WHY SOME DIETITIANS ENCOURAGE CONSUMPTION OF FOODS THAT CAN BE DETRIMENTAL TO OUR HEALTH (SUCH AS SUGAR). I am one of these dietitians, so I’m happy to answer! Let’s start by examining any food rules you may have. Do you have a list of “good” and “bad” foods? Because, dear friend, I’m here to tell you that food does not have a moral character. A carb is a carb, whether it comes from whole grain bread or a cupcake. Now that being said, are there certain foods that might leave you feeling more satisfied, nourished, or ready to compete? Absolutely! Are they completely subjective and vary day-to-day or person-to-person? Another yes! Becoming an Intuitive Eater is the best way to honor your needs while still allowing in flexibility and choice when it comes to making food decisions. Foods that are demonized by the diet culture we live in (sugar, carbs in general, processed foods, fats, anything delicious) are picked on to evoke fear, which then evokes desire to change, which then invokes us to buy the thing someone is trying to sell us. Those articles on sugar addiction? No scientific validity. The fad diets, cleanses, and schemes to manipulate your body? Fake news. Bottom line: food is food, and all foods fit. Yes, food is fuel, but food should also be FUN! If the rules you’ve created around food don’t allow for flexibility, fun, and satisfaction, maybe it’s time to re-think. How would you eat if nobody told you how? If you have questions about Intuitive Eating, reach out to a HAES® Registered Dietitian! CAN YOU PLEASE HELP ME UNDERSTAND HOW TO NOT USE “EXERCISE” AS A REASON TO SIMPLY EAT MORE. I NOTICE I AM MORE HUNGRY AFTER EXERCISING. Let’s get curious for a second about how you’re viewing exercise. Do you feel like you need to earn your calories? Are you avoiding eating beforehand? If yes to either/both, then let’s taco ‘bout what’s going on here. If you are hungry, that is your body signaling that you need to eat. This applies to you whether you have exercised or not. If you find yourself thinking, “But I should be eating X amount of food,” or, “I normally eat X amount of food,” I invite you to explore these thoughts. Do you always get exactly the same number of minutes of sleep each night? Do you always move in the exact same way for the same amount of time each day? Do you experience the exact same emotions and feelings each day? Nothing in life is 100%, so we can expect our fueling and movement needs to change too. Adding in more movement means that you will also need more fuel to keep your body strong and well. I LOVE TO EXERCISE AND HAVE HEARD THAT MY MUSCLES NEED MORE PROTEIN. I AM CONCERNED THAT CONSUMING MORE PROTEIN WOULD MEAN CONSUMING MORE CALORIES. CAN YOU HELP? What would it mean to consume more calories? Our bodies need energy to perform even basic functions, even while sleeping! So if we add in exercise, that naturally means that our fueling needs increase too. After all, if your car needed more gas, would you drive past the station? The best way to ensure we are getting a balance of essential nutrients is by eating a variety of foods (#allfoodsfit) and making sure each meal has a blend of carbs, fat, and protein. 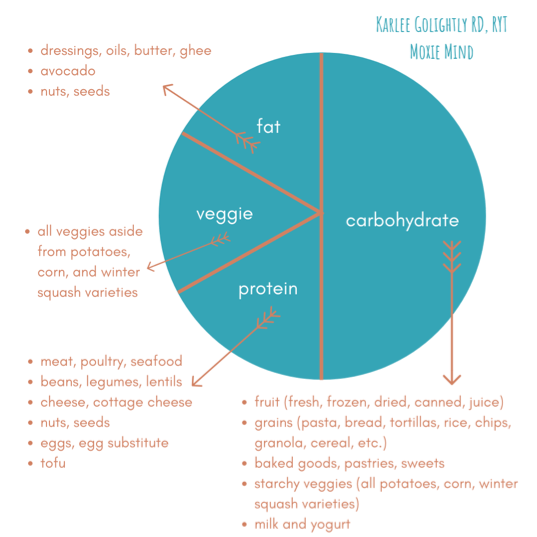 I have included a diagram used with my clients that highlights this in more detail – this is just a starter list, not all foods are included! While protein is important in supporting muscle growth, the other nutrients are just as crucial in everyday life and while exercising. Carbohydrates are not just helpful in giving you energy and keeping you full, but are the preferred fuel for your brain (arguably a pretty important organ). Fats are essential for the health of your cells and hormones, are required for the absorption of certain vitamins, and are typically found in very delicious foods. Protein is also important for cellular function and the health of your hair, skin and nails. Without a balance of all of the macronutrients, your muscles, brain, and body won’t perform at their best. Furthermore, I always question the reasoning behind specific messaging like “eat more protein,” especially from media. It’s important to look critically at the information presented to us: Who said you need more protein? Are they financially benefiting from you thinking this? Is there valid research to back up their point? As always, if you have questions about nutrition research, your unique needs, or questions on a certain product, reach out to a trusted Registered Dietitian you know! I AM AN AVID RUNNER AND WAS RECENTLY TOLD I WAS PRE-OSTEOPOROSIS (OSTEOPENIA). HOW CAN I HELP MY BONE-HEALTH WITH NUTRITION AND EXERCISE? MY IDENTITY IS RUNNING. While many of us think of calcium as the most obvious component of strong bones, some of the biggest keys to bone health are weight-bearing exercises and eating enough calories. Running is naturally a weight-bearing activity that helps to strengthen bones, but if you are under-fueling for your activity then it can lead to a whole host of hormonal and bone complications. 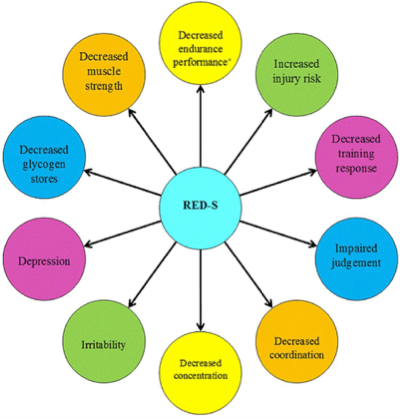 In athletes, we recognize this as Relative Energy Deficiency in Sport (RED-S), a grouping of symptoms that manifest as result of over-exercising and/or under-fueling. Amongst other complications like decreased strength or endurance, depression, injury, and loss of menstruation, the hormonal changes associated with RED-S can seriously impact bone health. For some, this means irreversible or long-term consequences such as osteopenia or osteoporosis far before old age. The solution? More fuel, and maybe less movement. With the right amount of nutrition, you can maintain or improve bone health, even after an osteopenia diagnosis. By ensuring your fueling needs are met, you are able to make lasting impacts on your bone health while ensuring your wellness in and out of your sport. I encourage you to meet with a sports dietitian to talk about your eating habits, create an individualized plan, and ensure you are getting enough to fuel your needs. WHAT DO YOU DO FOR JOYFUL MOVEMENT? Sometimes my movement is actual movement, and sometimes my joyful movement is flexing my “no” muscles! This can look like doing something active or deciding I need to rest. When I’m in the mood for movement, I love taking yoga classes that are mellow and spiritual, as a reminder that I can participate in a physical practice but also that I am more than my body. I also LOVE being outdoors, whether that’s going for a hike, kayaking, biking, or just walking around the neighborhood with my dog. Being in nature always reminds me of the amazing ways I can move my body while connecting me back with the earth and myself. In an ocean of diet culture, Moxie Mind was conceived to bring hope and fearlessness to the journey of coming back to yourself. 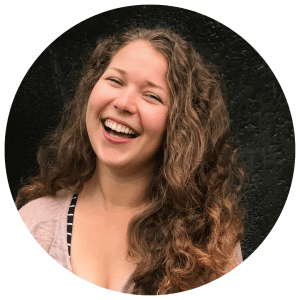 Karlee Golightly (she/her) is a Non-Diet Registered Dietitian and Body Positive Yoga Teacher who runs her practice on three key values: freedom, moxie, and joy. She is HAES® informed and operates under the belief that you are more than just your body, you are worthy of kindness and respect, and you are capable of doing hard things. Her specialties revolve around healing your relationship with food and body, and include counseling for eating disorder recovery, disordered eating, sports nutrition, and yoga for EVERYbody. 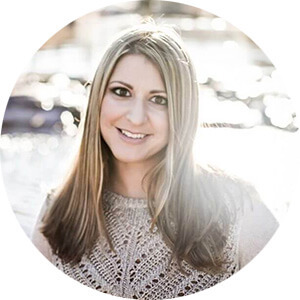 Karlee offers services virtually across the US or in her Denver office. © Erica Faulhaber 2019 – This blog may be shared or reprinted as long as the information is unedited and the author bio, including contact information is printed along with the blog.